Emily from Wide Open Spaces has decided to start a sort of book club. 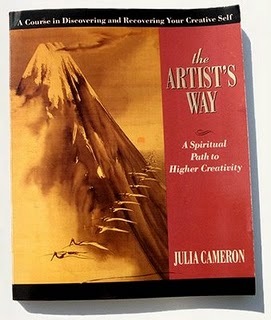 I absolutely adore her blog and was super excited when she asked if I would be interested in reading the Artist's Way by Julia Cameron. I honestly never heard of it before, but the lady at the book store went on and on about it when I asked for help. So I thought I would extend the invite to all of you. I bought mine at a local book store and I think Emily said she got her's off of Amazon.com for only $4. Considering we all use our creative selves by blogging and in our daily lives I thought it would be a great way to hopefully stretch ourselves a bit. It all begins Monday, sorry for the short notice. I do hope you decide to join along. Just let me know if you do!